Orbital ATK’s Antares rocket is officially back in play after successfully launching from NASA’s Wallops Flight Facility in Virginia this evening. It marked the first flight of the Antares since October 2014, when a previous version of the vehicle exploded just seconds after taking off. The rocket’s main engines have been replaced since then — and tonight, they flawlessly propelled the Antares away from the same launchpad the vehicle exploded on two years ago. Tonight’s launch carried Orbital’s Cygnus cargo capsule into orbit for NASA, as part of the agency’s commercial cargo program. The capsule is filled with more than 5,000 pounds of food, supplies, and science experiments for the crew of the International Space Station. A number of those experiments will study how fire behaves in microgravity, and another will test out how different lighting conditions in space may affect astronauts’ health. The Cygnus won’t deliver these experiments for a while, though. It’ll only take two and a half days for the capsule to perform the right maneuvers and reach the ISS, but the Cygnus is going to “loiter” a few extra days in space afterward. That’s because a Soyuz capsule is slated to bring three new crew members to the ISS on Friday, and NASA wants to wait to dock the Cygnus until after the new astronauts have arrived safely. If the Antares had launched on Sunday October 16th, as it was supposed to, the Cygnus would have been hooked up to the ISS on the 19th. But now the capsule will dock with the ISS on Sunday October 23rd. The Cygnus doesn’t truly dock with the ISS on its own, but is berthed with the station instead. To do this, the capsule approaches close to the ISS, where it can be grabbed by the station’s robotic arm. An ISS crew member uses the arm to pull the Cygnus close to one of the station’s ports, where it’s then attached. At that point, the astronauts can access all the goodies the capsule has inside. The Cygnus will then remain at the ISS for five weeks, departing station sometime in November. When it does leave, NASA will conduct the second Saffire experiment inside the capsule, which basically involves lighting a large fire inside the belly of the Cygnus. NASA did this before withthe last Cygnus that visited the station, in order to study how large fires behave in zero G. This time around, the experiment will light nine different samples of material on fire to see how they spread flames in space. 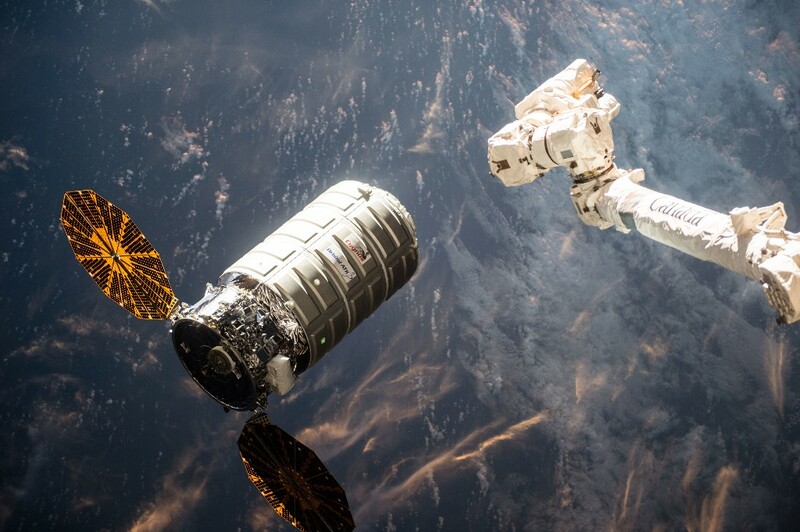 Once the experiment is over, the Cygnus will eventually fall toward Earth and burn up in the planet’s atmosphere, getting rid of a bunch of unwanted trash from the ISS. 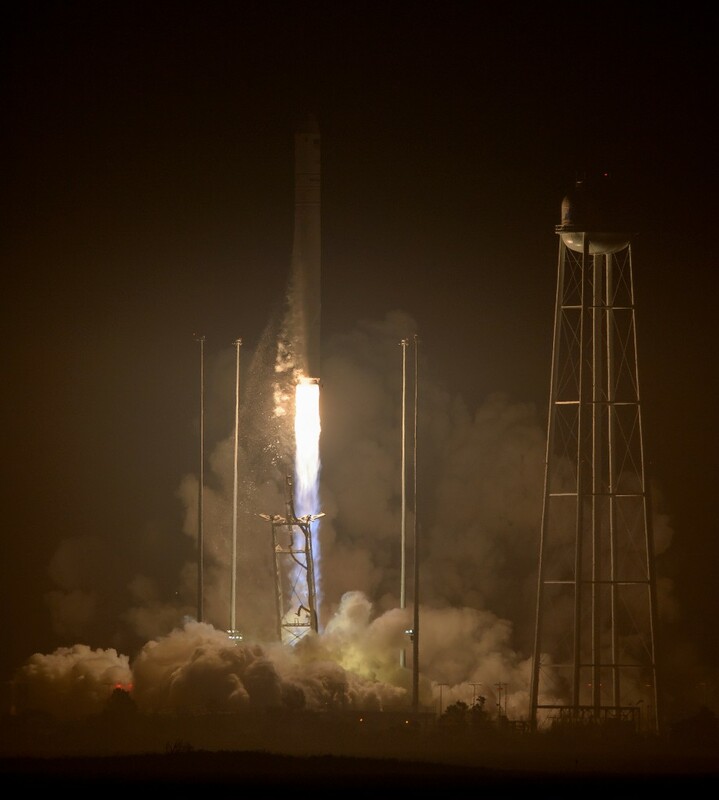 Now that Orbital has finally launched cargo on its Antares rocket again, the company is already looking ahead to the vehicle’s next resupply mission. The rocket core that will be used for Orbital’s next flight was just moved into the company’s integration facility at Wallops. There, the Antares will be fully assembled before it is rolled out to the launchpad. That flight is expected to occur sometime later this year, though an exact launch date hasn’t been announced.